Easy Website Pro 2.0 has powerful features to build professional home pages within a few minutes and publish them to the Internet. No HTML knowledge required. Import your pictures (JPG, GIF, and PNG) and create thumbnails in one click. Add your own logo, buttons, MP3s, videos, guest book, and counter. 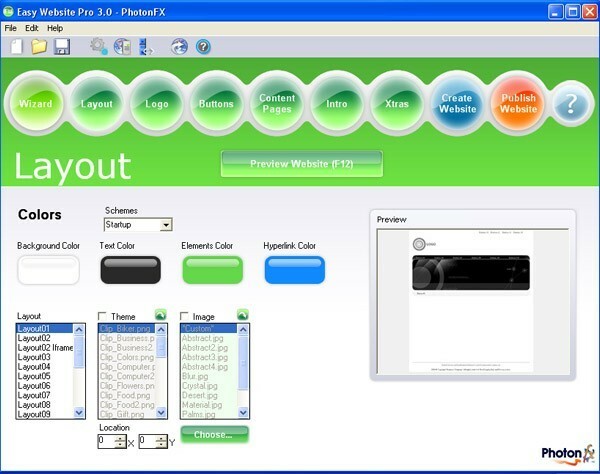 Create meta tags, colored scrollbars, intros, and sound effects. NEW! Version 2.0 includes WYSIWYG editor, MP3, MPEG, and Flash support.